The number of unsolved cold case homicides in Michigan is an unfortunate reality. 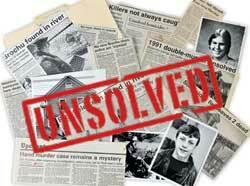 Since the 1980’s, Michigan has accrued over 11,000 unsolved cold case homicides. This particularly troubling problem affects every corner of our state, as thousands of victims and survivors still await justice. Comparatively speaking, Michigan has a 28% murder clearance rate compared to a national average murder clearance rate of 64.8%. Michigan’s low clearance rate can be attributed to the limited number of law enforcement officers patrolling our streets. With considerable efforts towards the provision of supplemental resources (more law enforcement personnel, assistant prosecutors and investigators), our state can better attempt to help solve the 11,000 plus unsolved homicides in our state. Michigan prosecutors and law enforcement officers are dedicated to bringing justice to families. In 2014, then-PAAM President, Victor Fitz (Cass County Prosecuting Attorney), created a ‘Cold Case Homicides Committee’ within PAAM to find efficient methods for case review and collaboration with law enforcement throughout the state. The committee is made up of prosecutors from diverse jurisdictions throughout the state. “When it comes to making Michigan safer, this simply makes sense. Murderers need to know they will be caught and brought to justice in our state,” Fitz said. After a successful statewide cold case training with the Michigan State Police in November 2015, PAAM Immediate Past President Mike Wendling (St. Clair County Prosecuting Attorney) sought to increase the efforts of this committee into 2016. 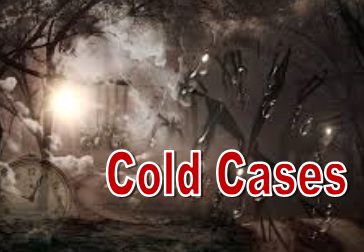 See a video report on cold cases from WSBT here.